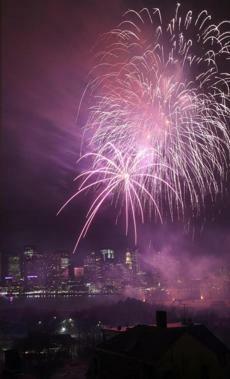 Fireworks rose over the Boston Harbor during the First Night celebration. 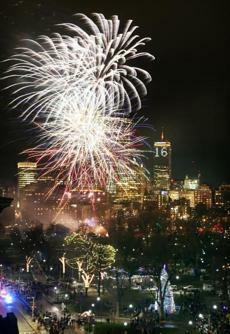 The Prudential Center was seen during an early fireworks display during First Night. 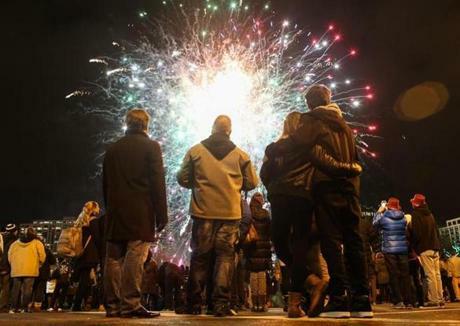 People watched early fireworks during First Night festivities. 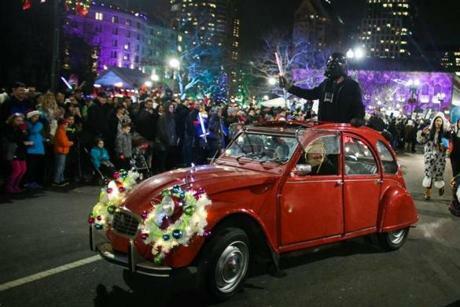 A performer dressed as Darth Vader took part in the People’s Procession. 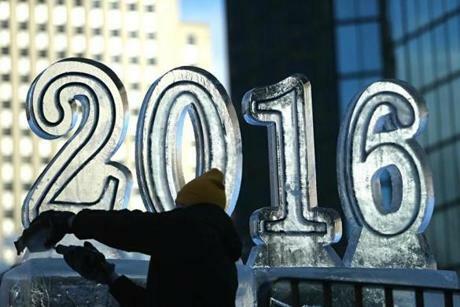 An ice sculptor put the finishing touches on a 2016 ice sculpture. 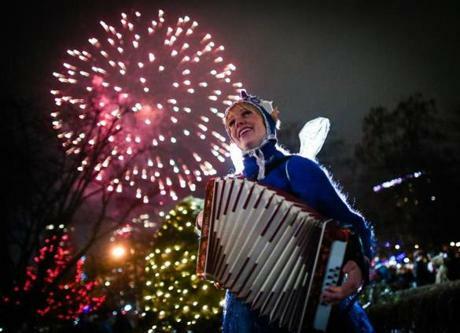 Performer Sophie Crafts played her accordion as fireworks went off. 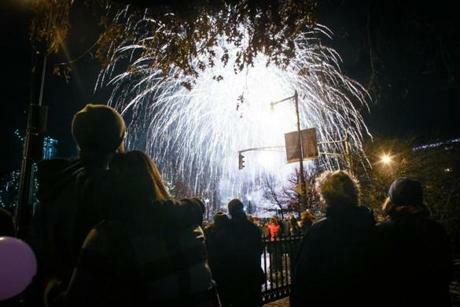 People watched the early fireworks display. 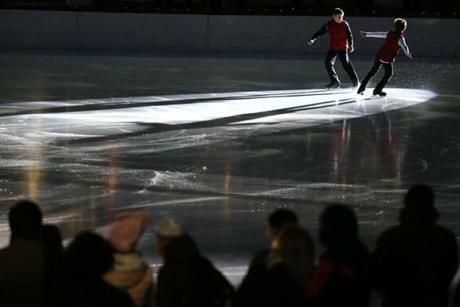 Members of the Skating Club of Boston warmed up before the Frog Pond Skating Spectacular. 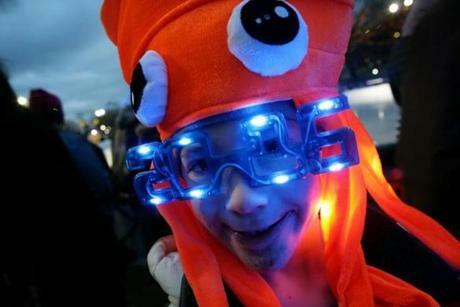 Lee Moors, 10, was dressed for the celebration.